McDaniel Heating & Air is proud to serve the Bessemer City community! About Bessemer City, NC - Happy to be your hometown Heating & Air Conditioning Contractor! 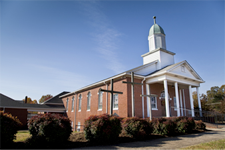 Located in Gaston County, North Carolina, Bessemer City is situated approximately six miles northwest of Gastonia. As of 2010, its population had surpassed 5,300 people, and many of these residents work at FMC Lithium. This company is one of the city’s largest industries, and its mine is one of the top producers of lithium in the world. Other manufacturers, including Advanced Drainage Systems, Hunter Douglas, and Dole, also provide employment opportunities to the community. Bessemer City is home to several attractions that might appeal to area visitors or residents. Shopping is popular in the community, and when looking for a good bargain, the 161 Highway Flea Market or Angel’s Upscale Consignment Shop are popular stops. The Prices Arena hosts a variety of events, including summertime rodeos and bull riding exhibitions, and the Bessemer City Kings Drive in a popular destination for families. Outdoor recreation is also available in this community at Uptown and Washington Parks, and Crowders Mountain State Park is located in nearby Kings Mountain. Bessemer City is characteristic of a humid subtropical climate zone, and because the community will experience four distinct seasons throughout the year, residents will want to invest in both home heating and air conditioning systems. Winters are typically cool with high temperatures reaching the low 40s, but there are over 50 nights per year that the thermostat drops below the freezing point. Summers in Bessemer City can be oppressively hot and humid. While average July temperatures are at around 79 degrees Fahrenheit, the area will experience an average of around 40 days each year where the highs surpass 90 degrees. Bessemer City residents will want to ensure that their air conditioning systems are in proper working order before these weather patterns arrive, as regular servicing can prevent a small problem from turning into a major and expensive issue.